Steve Sherer lives in Dexter Michigan with his wife & five kids (named or not?). He was an avid landscaper as early as he could site on a mower and pull out a weed. He has done raised beds, planted and maintained fruit trees and decorative trees, built and maintained multiple coy ponds, built a miniature outdoor fish farm, built a 12’ by 24’ shed/chicken coop with 8’ fence for chickens to free range in, built decks, tree forts, different kinds of pergolas, retaining walls and more mostly on his 2 acre hobby farm. He started a contracting career in high school and since then has remodeled kitchens and bathrooms, turned garages into living space, was an electrical apprentice for a couple years, built out his own gym in Brighton Michigan as a contractor and project manager, and is currently a local handyman and entrepreneur. Steve was also a professional runner for MSU, Nike and New York Athletic Club. He wrote a book called, “Spiked Up Ready to Run” on how he went from an overweight 3rd string lineman to the 4th fastest 1500 meter runner going into the Olympic Trials. It also includes his revolutionary training program and different training, racing and adventures. He still coaches as an assistant Cross Country & Track coach at Concordia University and runs the Saline Alumni race once a year. Steve’s passion is to live deeply with family and friends and maintain a reputable company that does the most for its community. Steve’s dream is to one day build his kids and the community a gigantic indoor play place called, Club META. Lives in Ann Arbor with his wife and four kids. 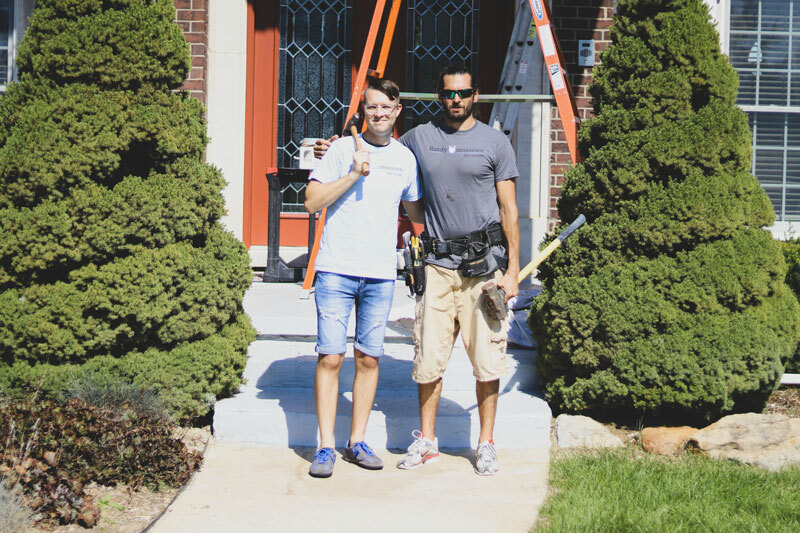 Archie grew up in an entrepreneurial home and was learning about business hands on from a young age. He spent summers growing up working at his dads marina, from landscaping and building new facilities, to restoring and refinishing boats he had a chance to do it all. He went on to flip a house, that needed every square foot replaced. In the coffee and restaurant industry Archie has successfully turned around multiple business, and helped launch new locations. After that he bought a graphic and sign franchise, and lead a talented team with the highest customer satisfaction in the entire network. Archie has also spent many years working as a professional musician, singer songwriter and music director at his church. He also studied multiple martial arts and has a 2nd degree black belt in Tae Kwon Do. Archie got his undergrad in business and music, and his MBA from Spring Arbor University. Archie’s passion is helping people solve problems. He approaches everything with positivity and strategy. His dream is to raise his kids with his wife and be the example of a real lifelong romance, every day. Our company and demands high quality service and is committed to top notch craftsmanship. Your approval is what drives Handy Hometown Services, and we commit to coming back to fix any flaw in a timely manner at no further expense to you. *Length of guarantee varies on work performed; usually one year. Not only do we care about your home, but we care about your privacy, your family’s safety, your time & your budget. Only entering areas that are needed to complete the job. Wearing booties or removing shoes. Placing protective materials down to protect floors, furniture and walls. Cleaning up all messes left after job completion. Discuss and provide a written change order for your approval for any necessary or recommended changes to the scope of work not visible prior to start of project. Not smoking on the premises. Using Low VOC (volatile organic compounds) paint, caulks, sealants, and adhesives. Providing dust masks for anyone that has to be around dusty work. Our cleaners will discuss healthy options for sanitizers that will go as natural as you are comfortable with. Reduced duration of multiple home & garden repair/improvement projects by calling for one lower price than 2 or more trades giving you multiple higher quotes. Improving your properties functionality & efficiency. Improving the safety and security of your property. Increase the overall value/equity of your home.